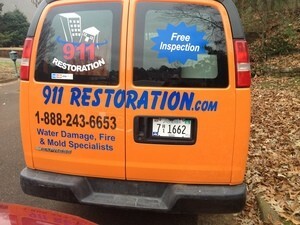 When you need assistance to patch up a roof leak, clean up an overflowing toilet, or extract flood water out of your home, the water damage Poquoson pros from 911 Restoration Virginia Beach are here to lend you a hand! We’re available 24/7/365 to provide you with on the day service that will help you avoid any further harm to your home. Whatever the issue affecting your home, you can trust in the licensed, insured, and bonded crew from 911 Restoration to provide you with comprehensive solutions that will give you and your home a fresh start! 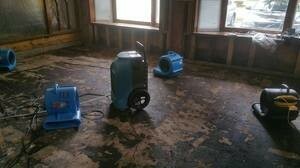 The presence of excess moisture within your home is the primary cause of mold growth. That moisture may have come from water damage like a roof leak, pipe burst, or sewage backup. Mold might be a natural part of the environment, but it certainly has no place within your home. The spores it releases can lead to respiratory ailments like coughing and asthma. Mold can also lead to the deterioration of wooden sections of your home. To determine if mold has indeed started growing within your home and to locate the source of the leak, let 911 Restoration provide you with a free inspection and estimate. Our IICRC certified team can patch up the source of the leak and will use the latest drying technology to extract water and moisture out of your home. Once the roof leak has been dealt with and the water extracted, our team will provide mold remediation services that will remove mold and any spores it may have released into the air. Our quick response from technicians who are available 24/7/365 availability, and comprehensive services allow us to provide you with highest quality of water damage repair and restoration. Our IICRC certified technicians will be refurbishing the affected sections of your home to look good as new. We know how urgent you need help. That’s why when you call us, you can expect our team to be there within 45 minutes. 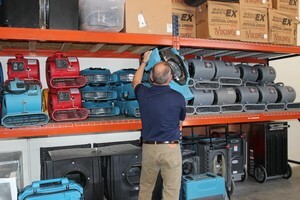 Through our lighting fast response, we’ll make sure that your home looks good as new in no time! We know that water emergencies like roof leaks, pipe bursts, and sewage backups can be really frustrating to deal with on your own, and they can come completely unexpected. But with 911 Restoration, you can count us to be there even if the problem happens in the dead of night. When a roof leak is wreaking havoc by causing water damage and mold growth, trust in the professionals from 911 Restoration Virginia Beach to lend you a hand. If your property is already amid a flooding of any kind, then don’t hesitate to contact our water damage Poquoson team with 911 Restoration Virginia Beach for immediate relief today!